This is a great project to start your crocheting journey. If you are not beginner, you may like to use up yarn odds and ends in a cute way. These will be good as a quick holiday decoration for your interiors (e.g. to highlight thanksgiving decorations or halloween spooky colours) or just for the sheer pleasure and whimsy. 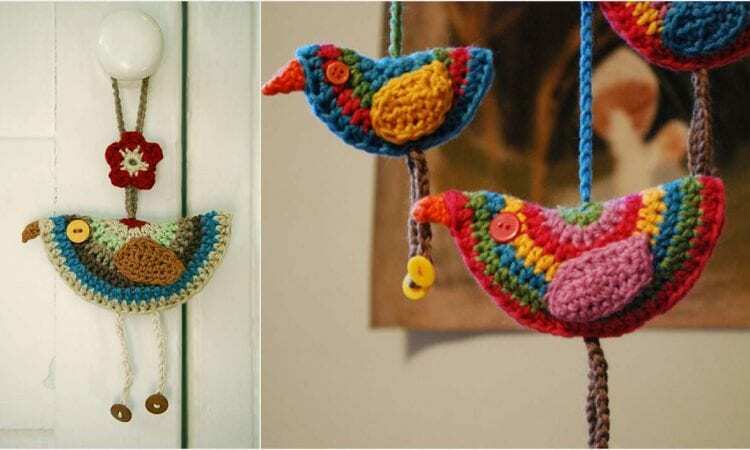 The pattern can be also used as a baby bedroom decor or hanged as a baby mobile. Enjoy! Link to the pattern is at the end of the post.